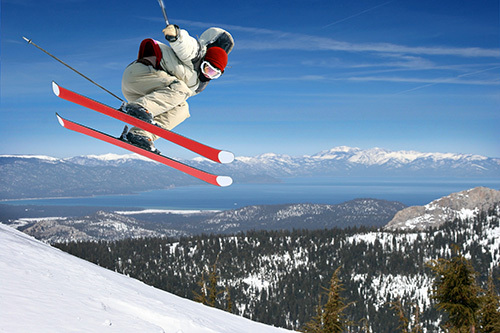 Heavenly Mountain Resort has extended their ski/board season to May 5! Legendary Lake Tahoe snow, FREE breakfast, and heated indoor pool. 10,000,000,000 snowflakes invite you to come out and play. Use offer code SNOW19 for special rates as low as $99/night through May 5 2019! Winter started off with a showy, snowy shebang. All around the Lake Tahoe Resort Hotel, the lifts are looping and every Tahoe ski resort is open from top to bottom. If you’ve been waiting for the right signal to come up and play in the snow, our special Winter Wa-HOO! rate is just the nudge you’ve been looking for. We’re right at the base of Heavenly Ski Resort. A short drive from Sierra at Tahoe and Kirkwood Mountain Resort. And just around the lake from Squaw Valley and Alpine Meadows ski resorts, and Northstar California Resort. You can easily say world-class skiing and snowboarding are inescapable. 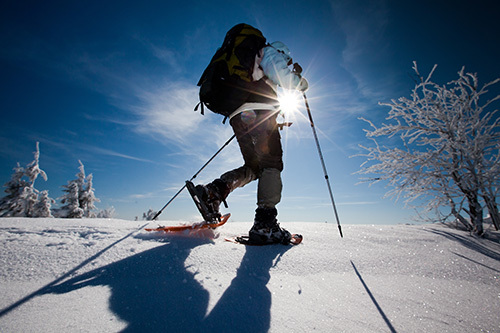 Some of the world’s most breathtaking cross-country ski and snowshoe trails are right out back. And snowmobile rides are immediately down the street. Winter adventure is unstoppable around here! Hitch a ride on a horse-drawn sleigh or hop on the Heavenly Gondola. 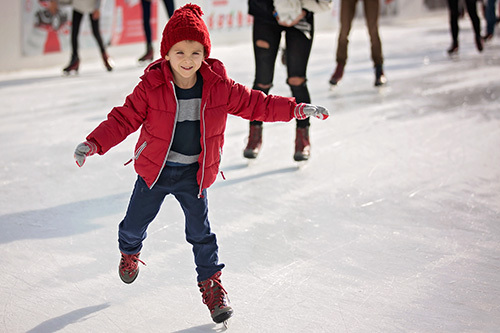 Or go ice skating—it’s right next door. So is shopping, movies, live music, and all flavors of dining options at the Shops at Heavenly Village. Winter is yours!